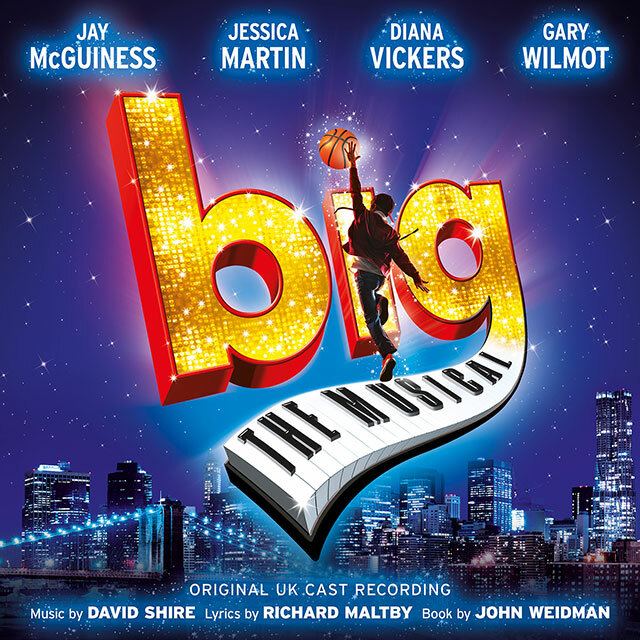 Based on the hit 1988 film, Big the Musical features songs by David Shire (music) and Richard Maltby, (lyrics) with a book by John Weidman. Direction & choreography by Morgan Young. BIG, the heart-warming and hilarious Broadway musical based on the classic movie starring Tom Hanks, tells the story of Josh Baskin, a twelve year old boy who hates being little, until one night at the carnival the mysterious Zoltar machine grants his wish to be big. Trapped in an adult’s body and alone in New York, he innocently tries to find his way around a grown-up world where it’s all work and no play. But whilst everyone around him tries to act their age, Josh just can’t help being himself. Maybe he can teach the real adults a thing or two… Starring Jay McGuiness, Jessica Martin, Diana Vickers and Gary Wilmot.